Huntington Beach, Calif. - Considering yesterday's rain and tomorrow's forecast, we had nice weather today for our meet. It started with a lot full of cars, but they cleared out by 2:00 and the bikes loaded in. 78 bikes showed up for a great meet. Congratulations to Mark Abrahams of New York city for winning Bike of the Month with his 1974 Ducati 750 Super Sport. Mark won the Bike of the Month plaque provided by Russ Brown Motorcycle Attorneys. www.RussBrown.com. Mark should get the prize for distance traveled, instead he gathered nearly every vote for Bike of the Month. Mark has owned the Ducati for three months, today was the first time it was at our meet. Read all about Mark's 1974 Ducati 750 Super Sport on our Bike of the Month page. 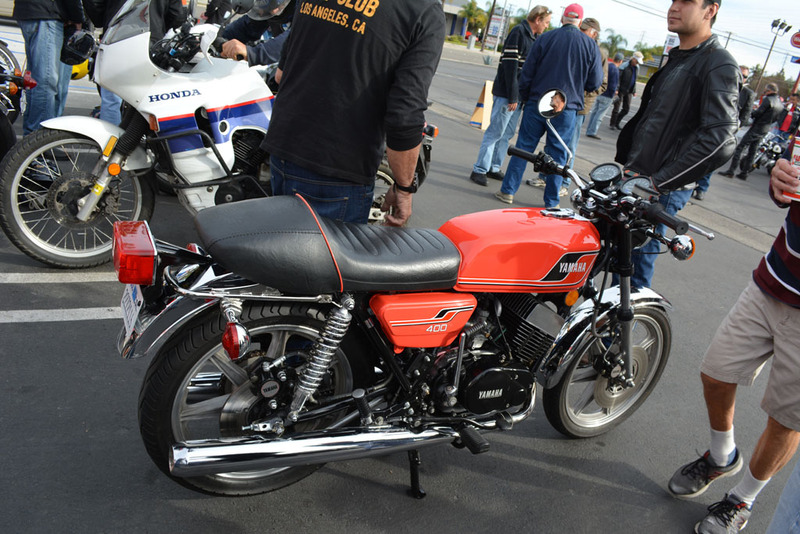 Ernesto Quirogo of Long Beach came in Second with his 1977 Yamaha RD400. Unfortunately I didn't get a photo of Ernesto with his bike, but there are plenty of photos of him on our site from all his previous wins. 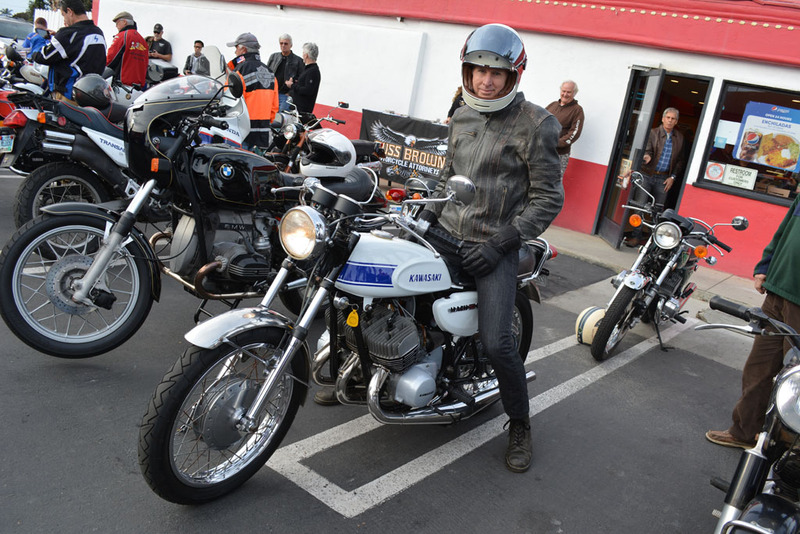 He has owned the fully restored RD400 for three years and currently has it up for sale. If you're interested, call him at 714-213-2929. Serious inquiries only please. Ernesto won a Triumph Classic t-shirt provided by Triumph Classic Motorcycles, www.TriumphClassicMotorcycles.com. 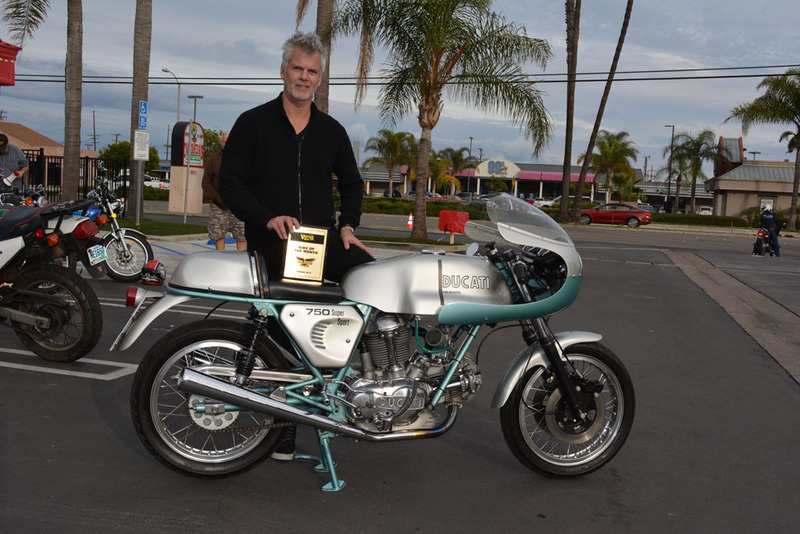 Larry French of Huntinton Beach took Third place with his 1969 Kawasaki H1 500 Mach III. Thanks to everyone for showing up and making this another great event and a special thanks to the team, Tom & Debbie Hopkins. I'll see you next month on February 10, 2019.